Cosmetic dental treatments are primarily concerned with addressing issues of how your teeth look. However, for patients who receive cosmetic dental care at our Temecula and Hemet dental offices, they often find that their oral function is restored as well. If you have damaged or missing teeth, our cosmetic dental treatments can help you smile with confidence and can greatly improve your overall oral health. Our Hemet and Temecula cosmetic dentist, Dr. Byron Carr, welcomes you into his office for your initial consultation, so that he can recommend the treatment that works best for you. Even if you are experiencing complicated oral health problems, our office performs full-mouth reconstruction, so you can enjoy a completely rejuvenated smile. • Composite Fillings – These metal-free fillings treat tooth decay, without metal amalgam – you won’t have that tell-tale black spot on your teeth that shows you had a cavity filled. • Crowns – A porcelain crown from our office protects a damaged tooth by enclosing it with a cap that is made to look just like a natural tooth. Our custom-made porcelain dental crowns seal out further damage and give you a flawless smile. • Fixed Bridges – This treatment for one or more missing teeth fills in the gaps in your smile and restores your biting and chewing function. If natural teeth on each side of the missing tooth need to be restored with a crown, a bridge is a particularly convenient option that helps treat these damaged teeth, while replacing the lost tooth. Dr. Carr takes care to recommend the treatment that will preserve as much of your natural teeth, whenever possible. • Dental Implants – Another option for addressing a missing tooth or teeth, a dental implant is a whole, independent replacement tooth that is anchored in place by a sturdy titanium post. Dental implants nurture jawbone health and are the preferred choice for many patients who do not need crowns or other cosmetic treatments on teeth surrounding the site of a lost tooth. • Veneers – Restore stained, too-small, or cracked teeth with these thin tooth coverings. 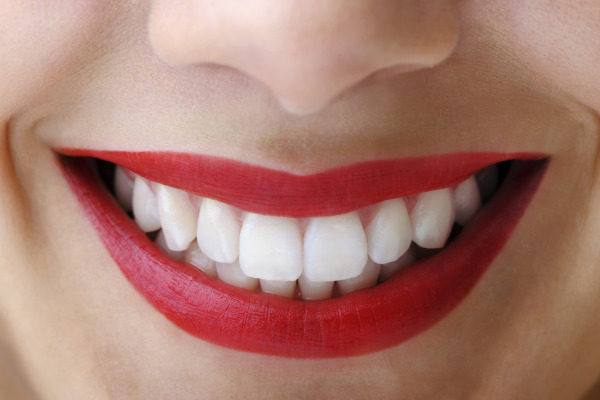 Veneers allow your teeth to look bright white and even. Dr. Carr recommends this treatment for patients who have several dental issues and could benefit from having all of them addressed with one procedure. • Teeth Whitening – Dr. Carr’s Temecula and Hemet cosmetic dental offices provides both custom, take-home whitening kits with DayWhite, as well as in-office teeth whitening with the KoR bleaching system. Our in-office teeth whitening treatment is especially effective for patients who have teeth that are heavily stained and are difficult to whiten. • Six Month Smile – These discreet, cosmetic braces straighten misaligned teeth in as little as 6-8 months and are a great choice for just about any patient who is concerned about crowed or gapped teeth. Dr. Carr has a wide range of versatility with cosmetic dental treatment and can help any patient achieve the smile they’ve always wanted. We want your treatment to be as comfortable and effective as possible. For many patients with cosmetic dental problems, Dr. Carr had found that the combination of Six Month Smiles treatment and professional teeth whitening provides excellent results. This approach takes care of many cosmetic issues, preserves tooth structure, is cost-effective, and makes a significant difference in the appearance of your smile, as well as your general oral health. For more complex cosmetic dental problems, Dr. Carr can group the treatments that will best serve you and can even provide you with temporary, mock-up work so can test drive your new smile. Best of all, your temporary dental work has full-functionality, so you can get a real feel for how your finished treatment will look and feel. Don’t Wait to Get a New Smile. Contact Dr. Carr Today! Our team is excited to show you how you can achieve an ideal smile with help from our Temecula and Hemet cosmetic dentist. Contact Dr. Carr today to schedule your initial consultation!